Beach umbrellas, Sunbeds, deckchairs and raffia’s big umbrellas made by our company are assembled using only MADE IN ITALY materials, thanks to the partnership with major companies, we are able to guarantee durability for several years. Our beach umbrellas are made to inside our company, by attentive and qualified personnel, all the umbrellas are highly customizable, using colors and logos chosen by the customer. 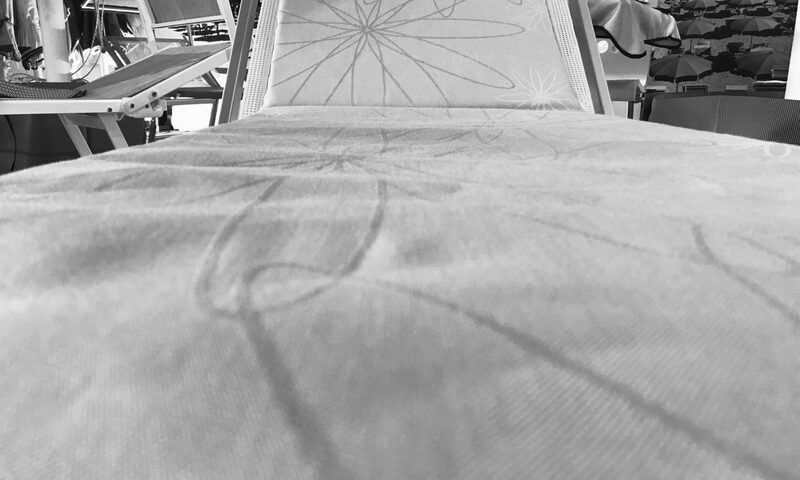 The aluminum line: sun lounges , director chairs and deckchairs is assembled using only anodized primary aluminum profiles at 20 microns, ensuring high quality, durability as well as for the umbrellas, even sunbeds, director chairs and deckchairs could be customized in the colours and in the choice of the logo.